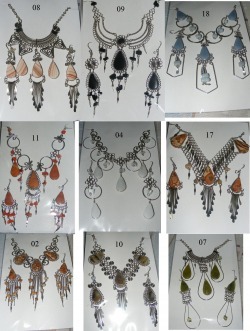 Two necklace and earring sets for only $29! 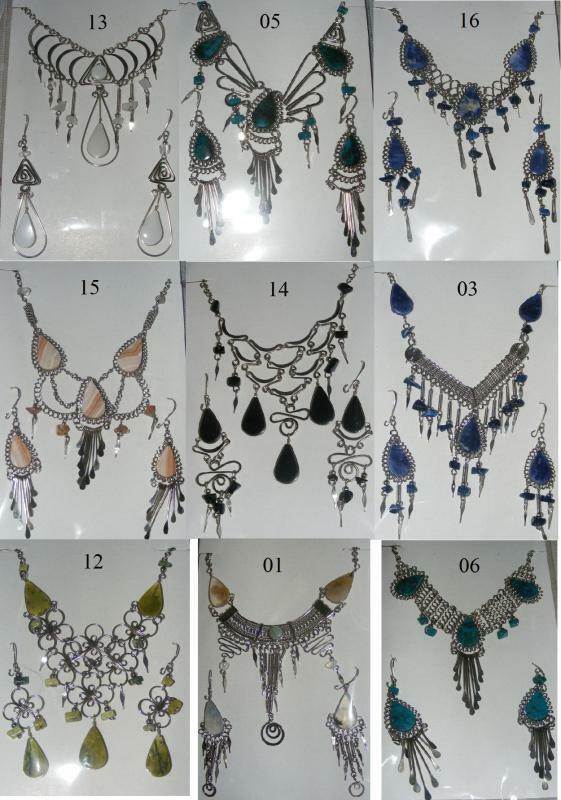 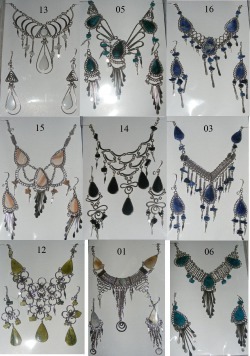 Below are photos of the 18 styles of necklace and earring sets we carry. 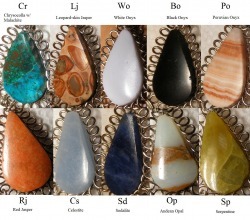 Each style is available with in ten types of natural South American stone. Each stone is hand-polished and the setting are entirely handmade by skilled Peruvian craftsmen and women.